Why has the female voice deepened over the last fifty years? Who talks more, men or women? How can a baby in the womb distinguish between different voices? The human voice is the personal and social glue that binds us, and the most important sound in our lives. The moment we open our mouth we leak information about our biological, psychological and social status. Babies use it to establish emotional ties and acquire language, adults to decode mood and meaning in intimate and professional relationships. 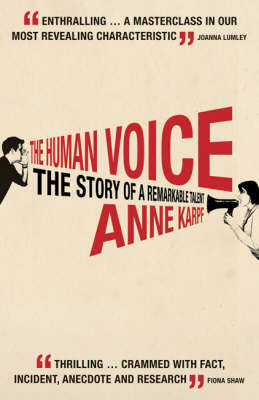 Far from being rendered redundant by modern technology, the human voice has enormous and enduring significance.